Lots of people struggle with depression on daily basis. Some end up with suicidal thoughts and those who are not able to get the necessary help needed end up losing their lives. Most industry players go through a lot of these emotional breakdown because there is a lot of pressure from their fans to always be the best no matter the circumstances. 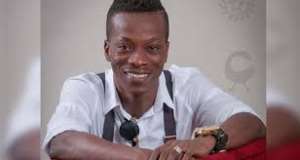 Highlife singer Kaakyire Kwame Fosu, widely recognised as K. K. Fosu, has disclosed he got depressed when his finances could not meet up with his music career.